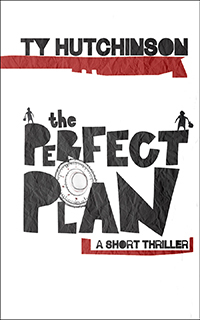 From the author of the wickedly funny, action-thriller, Chop Suey, comes a psychological thriller that shows you how bad your day can get when your perfect plan is perfectly wrong for you and perfectly right for someone else. For Blade and Angel, everyday is about their next high. Tired of the daily jobs needed to support their habit, Blade hatches a scheme for a bank heist. It’s the perfect plan. Suddenly things go terribly wrong. Their plan crumbles and now they’re forced to find a way out of this mess. And if that’s not enough, someone in the bank just killed a hostage and it wasn’t them. This psychological thriller is around 6,000 words. That’s about twenty-two pages or forty minutes of your lunch break. Enjoy.